Dada Life-the blockbuster Swedish dance DJ-duo of Olle Cornéer and Stefan Engblom-have today (June 7) announced details for The Dada Land Compound at Electric Zoo: The 6th Boro, to take place on the opening day, Friday, September 1 of the ninth edition of New York City’s very own world-class electronic music festival happening over Labor Day Weekend. The iconic EDM duo recently wrapped their North American “The Compound: Evolved” tour with a rollicking warehouse show in Brooklyn. Check out a clip from it here: https://www.youtube.com/watch?v=ntONbMsEl9U. 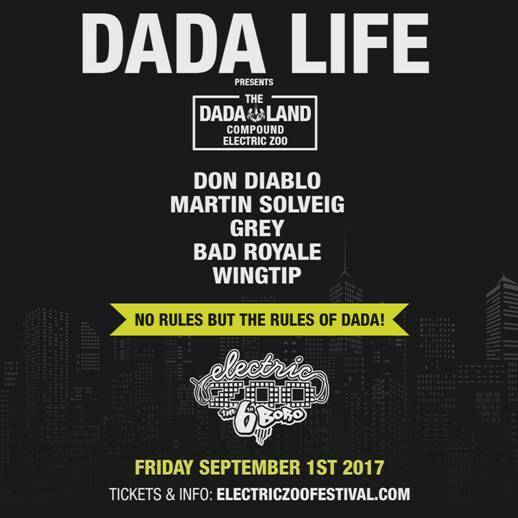 Their Dada Life Compound Electric Zoo festival stage in New York will prove an even more bombastic affair. The occasion, amidst the fantastical jungle carnival of Randall’s Island Park, will mark the first time ever that Dada Life have brought their Compound concept to festival grounds. Dada Life‘s popularity has exploded across the globe, inciting hedonistic chaos in Los Angeles, Austin and Miami. Truly, Dada Life cause a scene wherever they go, including the charts. Their last album The Rules Of Dada reached #1 on the iTunes Dance chart and Top 10 on the iTunes overall chart. 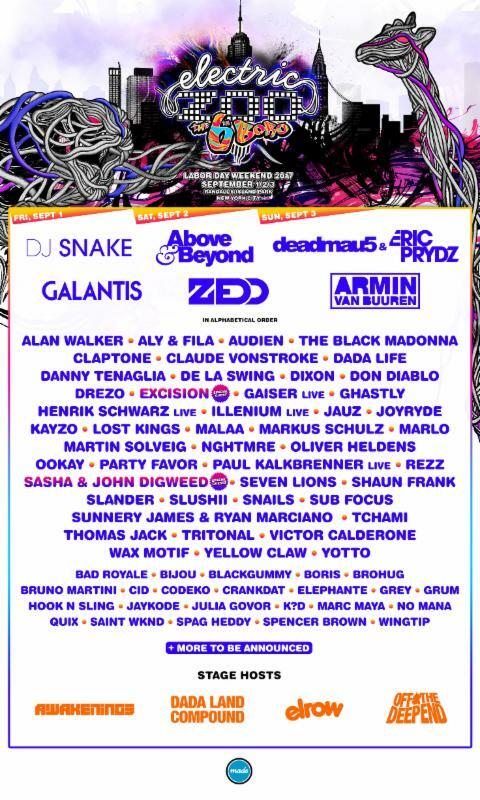 Taking place over Labor Day Weekend September 1-3 at Randall’s Island Park, the theme of ELECTRIC ZOO: THE 6th BORO is a homage to the festival’s hometown that will sparkle with the surreal, dazzle with imagination and envision New York City in a way never thought possible. Many of the world’s heralded and cutting-edge DJ acts-helmed by headliners DJ Snake on Friday, September 1, Above & Beyond on Saturday, September 2, and a back-to-back set from deadmau5 & Eric Prydz on Sunday, September 3–will be featured among all-new stage designs, interactive performers, unique installations and more. Check out Dada Life’s interview and Dada Land Compound Electric Zoo playlist for EDM Sauce here.